Joo-yong Lee, Chairman of KCC Information & Communication, received a Gold Tower Industrial Medal for his contribution to the development of the SW industry. The Presidential Award went to Jennifersoft in the Korea SW contest. On November 28, the Ministry of Science, ICT and Future Planning held the 17th SW Industrial Festival at COEX in Seoul, Korea. Among the Korea SW Grand Prizes, JENNIFER V5 from Jennifersoft received a Presidential Award. The Prime Minister’s Award went to the Smart Doodle Learning Platform from MINIGATE and Thing+ from Daliworks. Jongwook Kim from KAIST received a Presidential Award for his Application Development Full Stack Kit at the Global SW Contest. 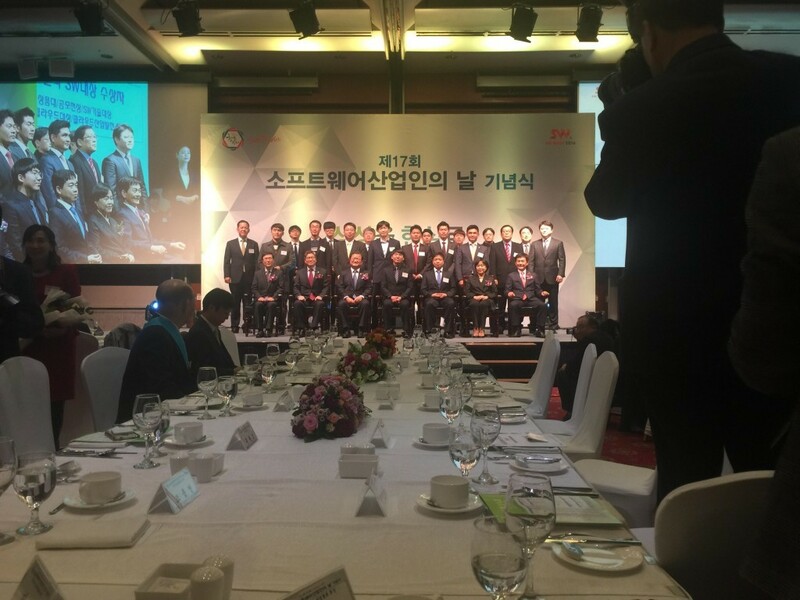 Jaeyoo Choi, Vice Minister of Science, ICT and Future Planning, said: “To keep pace with the 4th Industrial Revolution, the government will promote a new industry and educate talented SW people based on IOT, big data and cloud so as to secure national competiveness.” About 300 people from different fields participated in the event, including Jaeyoo Choi, Vice Minister of Science, ICT and Future Planning, and Sungtae Kim and Huekyung Song from the Saenuri Party.